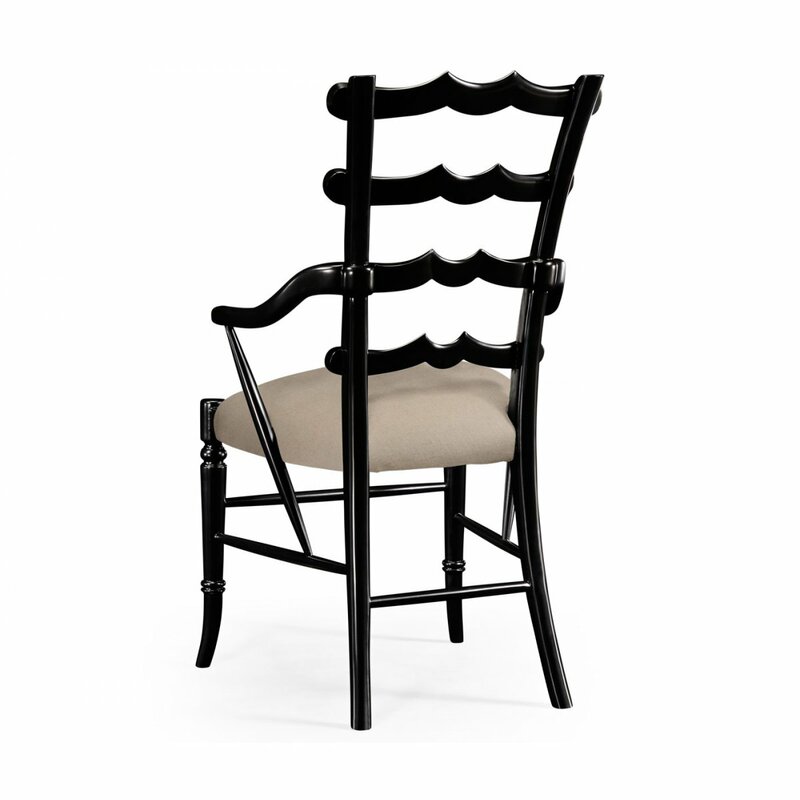 This magnificent Jonathan Charles Black Yoke Ladderback Armchair would make an excellent addition to any dining room. 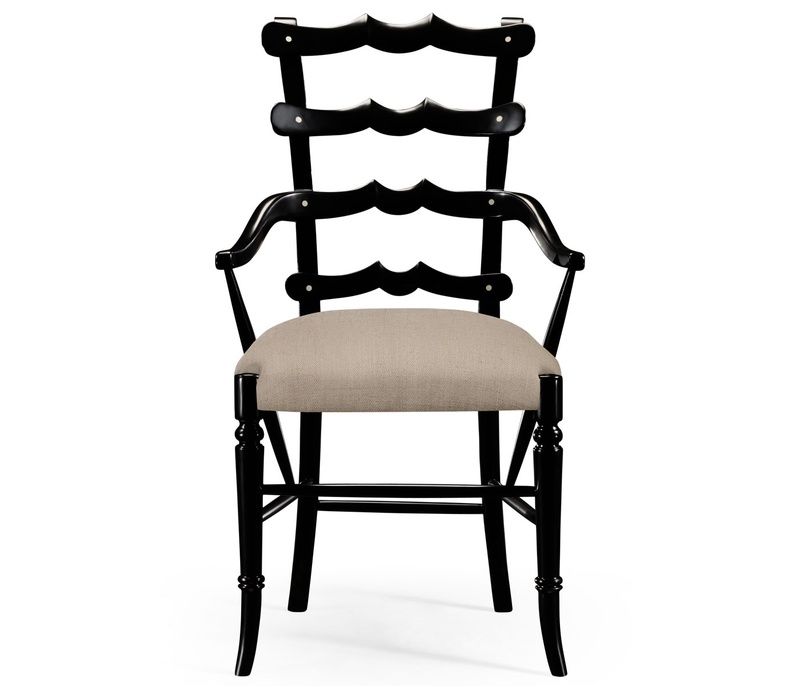 Unusual black painted ladderback armchair features the tapering rear panel filled with graduated "Yoke" splats and upholstered seat with angled arm supports. 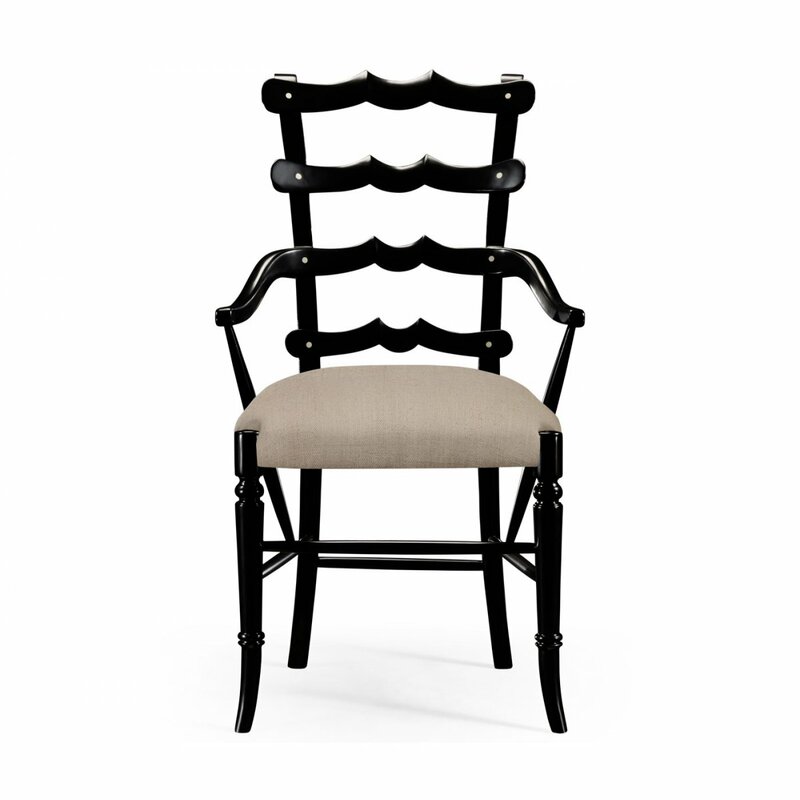 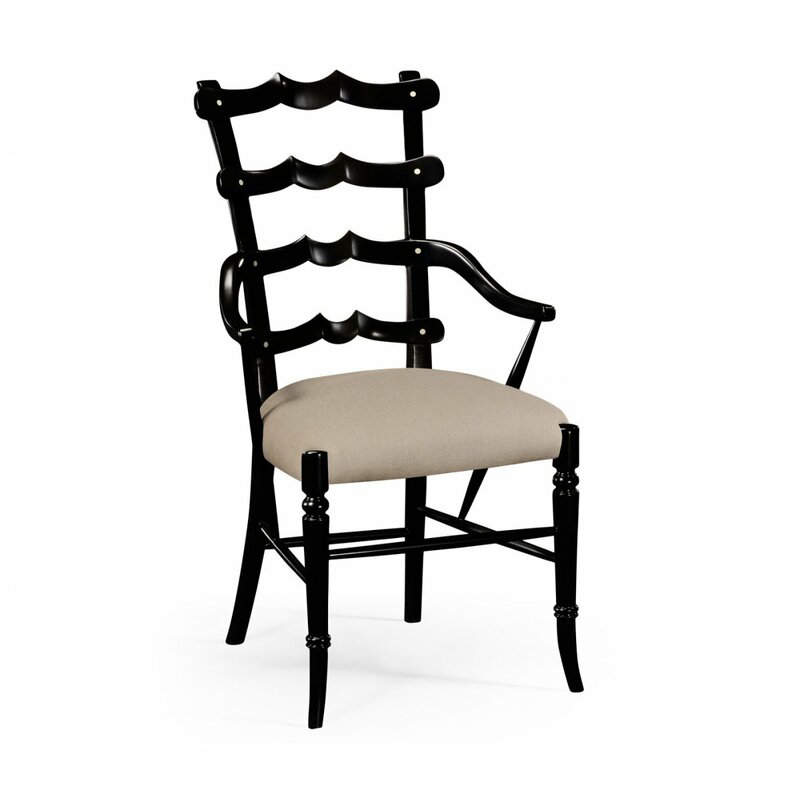 Matching Jonathan Charles black Yoke Ladderback side chair available separately. Coordinate with other furnishings from the Jonathan Charles Casually Country collection.